As a video marketer, you may always think something different in order to approach the right audience. Today the world was turned majorly towards YouTube platform when comes to the term “video”. You might not think beyond YouTube if you are already got successful on YouTube platform. Think 360 degrees and weigh the things now. As you already got successful on YouTube platform why not have a try beyond YouTube platform to expand your reach. Yes!!! 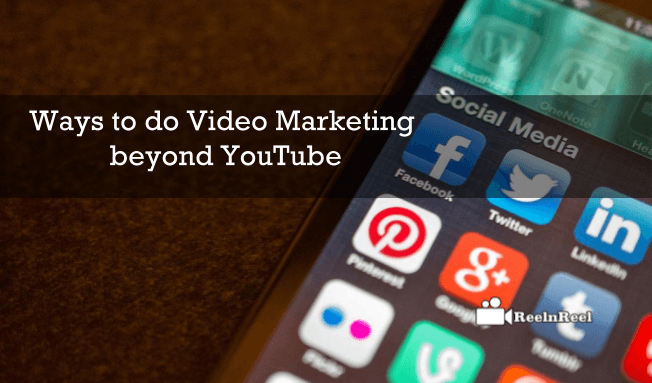 Go beyond YouTube to go beyond marketing. Come!!! Let’s explore the video marketing across different platforms other than YouTube. Every platform is unique at least in some features comparatively. Make use of those features to expand your reach. #Go short with twitter to go Big!!! #Try Vimeo!!! Try Quality approach!!! Can your brand create a great buzz in just 140 seconds?? Are you ready to generate good vibes in the audience with this style?? If you are, then you can go Big!!! The Twitter platform is perfect for brands to deliver the brand’s face to the audience. With 140 seconds span brands cannot cover all their features or services. Previously, it is one of the challenging tasks for video creators and marketers to convey the things in just 30 sec or in six seconds. The Twitter platform had already dumped the Vine platform this year. The 140 seconds video on Twitter is the new way to the reach the audience. Twitter is always noisy and busy with tweets updated every second. The regular posts do better on Twitter. Make consistent post release and market your videos in a different way. The short and sweet video clips are the great asset on Twitter. In this busy life, people rarely spend time in watching promotional and marketing videos. So, why not grab a chance on Twitter as it took exactly below 140 seconds to reach a viewer. Start using twitter and go Big!!!! Facebook is the right one for your need!!! Facebook is a wonderful platform especially for video marketers. The autoplay video features reach the viewers and raise their interest in them to view the video. The native video advertising can grab the major audience towards your brand. Best social platform for marketing which allows long form video content up to 120 minutes. So, be prepared to plan a right strategy if you are looking forward to long form video strategy. Yes, Vimeo has exactly symbolized the quality video content. It is the first platform that allowed quality video pieces. When you look vimeo, it seems as if you are on YouTube platform but, it is differentiated in many ways. Vimeo is completely a commercial ad-free platform with the best loyal audience. The platform allows the marketers and brands to post high-quality video content. They can also attach their own brand logo on a video screen. Don’t just step back by imaging that you are just throwing your video on another platform. Vimeo is always special as one can reach a loyal audience which is more valuable for video marketers and brands than anything. Make a handy sharing to your blog..
Dailymotion allows the users to leverage the content in the best shareable ways. Best platform to get good control on video hosting. You can manage your entire content in a smart way. Even the content categorization is also very easy and comfortable at Vzaar platform. You can also go with easy monetization and easy performance tracking as it is integrated with the Google analytics. But, make sure you don’t take it easy to Go Easy with Vzaar!!! One of the best if you are looking for your business marketing. Create curate playlists and simply monitor the user interaction. The user interaction monitoring is the best part where marketers can fetch good ranking with analytics. Finally, go beyond YouTube and have a try and enjoy the marketing by reaping great benefits. Hope this is helpful to you. What is A/B Testing for Videos?